Depth: 17.5 mm. Width: 26.5 mm. Height: 48.5 mm. Price: £2.99 each. £2.49 each if you buy two or more. Postage and packing included. These PP3 or MN1604 batteries have a long shelf life. Why not buy two or more packs of PP3 batteries, take advantage of our reduced price and make sure you are not left without your radio or unable to remotely control your device next time your battery runs out. 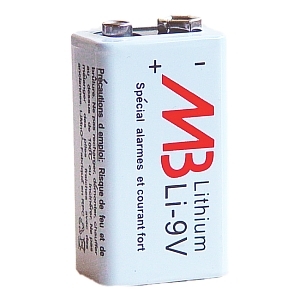 For a longer life PP3 battery, consider our newly released Lithium PP3, the Li-9V.